The population of older adults in the Pikes Peak region has grown 50 percent since Innovations in Aging released its 2015 aging study, and by the year 2040, it stands to grow nearly 75 percent more. Unfortunately, it doesn’t mean we understand how to talk about aging any better today than we did years ago. Conversations about aging and about end-of-life issues are not easy, and most Americans haven’t given much thought to their preferences. Today, there is even an international organization devoted to having these tough conversations called Death Over Dinner, and its premise is that age- and death-related topics don’t have to be morbid. In fact, it’s often an excellent idea to talk about one’s preferences before it’s necessary. Indeed, how an aging person wants to live is his or her choice, and the family’s role is to make it possible. It’s all about quality of life, independence, dignity, security, autonomy, identity, choice, purpose, and more. Judaism and Christianity sum it up in the fifth commandment, “Honor Thy Father and Mother,” which in today’s vernacular we might state simply as, “Honor Your Elders.” It is allowing our parents and loved ones to express themselves, set goals, and share their care needs and desires. While the graying of America is nothing new, Americans have not paid attention to a growing number of risk factors older adults face, which accentuate the need for such conversations. One such risk factor is loneliness. According to the AARP Foundation’s “Framework for Isolation in Adults Over 50,” those who are lonely have a 59 percent greater risk of functional decline and a 45 percent greater risk of death than those who remain socially engaged. And yet 29 percent of people over age 65 live alone, and twice as many women live alone as men. An estimated one in five adults over age 50 are affected by isolation. Other risk factors that make conversations about aging necessary might involve mobility or sensory impairments, major life transitions or losses, limited or low financial resources, cognitive challenges, and more. Regardless of the risk factors, the No. 1 reason to have a conversation is that 87 percent of adults over 65 want to stay in their current home (AARP PPI, “What Is Livable, Community Preferences of Older Adults,” April 2014). All other factors are important, but they are secondary to one’s desire to age in place. If we are going to honor our elders’ wishes, then we must do what we can help them remain where they want to be. According to the American Senior Housing Association, a 78-year-old living independently without a major health crisis could live 15 more years in his or her own home. In contrast, average life expectancy in assisted living is 21-30 months and skilled nursing just five to 14 months. Once someone enters long-term care, life expectancy is reduced by 50 to 75 percent. As Gawande says, “Home is one place where your own priorities hold sway. At home you decide how you want to spend your time and how to share your space.” Of course, that means we must determine how best to provide the care necessary to keep our loved ones at home. 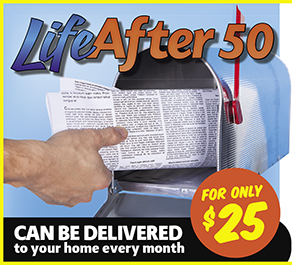 Today 30 million households nationally have discovered this secret and provide care for an adult over age 50. Trudy Strewler Hodges is the Director of Home Care for Envida, a nonprofit that promotes access and supports independent living with dignity. She is founder and former executive director of CASA of the Pikes Peak Region and has devoted her life to advocating for those who need someone to hear them.